This seminar took place at the National Portrait Gallery, and below you will find synopses of a range of the presentations and associated documents. Colin Ford became the National Portrait Gallery’s first curator of photography in 1972. The Photographers’ Gallery had opened a year before, and the Arts Council of Great Britain appointed its first Photography Officer a year later. Historic photography became front-page news in 1973, when the Royal Academy sent three albums by the Scottish pioneers D. O. Hill and Robert Adamson for auction at Sotheby’s. The NPG successfully acquired the albums and, in the next decade, ran several other such campaigns, as well as mounting two dozen photographic exhibitions. In trying to establish a national museum of photography (which had been proposed in the 19th century), Colin took advice from a senior civil servant, and decided to forge a partnership with another national museum or gallery, and seek a site outside London. The National Museum of Photography, Film & Television (now the National Media Museum) opened in Bradford as part of London’s Science Museum in June 1983. In her handout (see link to pdf below) Audrey identified three areas that deserve special consideration when analysing Victorian family photographs – the physical appearance of the image and its packaging, the image itself and the information it contains, and the occasion or reason why the portrait was taken. She then proceeded to concentrate on one area of image content analysis. She demonstrated the importance of learning to identify the typical or generic elements within the portrait tradition as this will permit the identification of anything unusual or exceptional in the image and so promote a more subtle and nuanced interpretation. The nineteenth century witnessed the emergence of, among others, a portrait tradition, landscape, record and survey work, and two fine art traditions in combination printing and pictorialism. Photographers working within these different traditions shared a set of beliefs about the nature and purpose of their work, and adopted a range of working practices that gave expression to these beliefs. Ideas and practices work together to shape the generic or typical image. Like scaffolding on a building, ideology and methodology support the image under construction though they are not immediately apparent in the finished work. Obviously, the various traditions were not watertight, and ideas migrated between the different applications and evolved over time. Nonetheless, a knowledge of these ideas and their associated practices will enable us to distinguish between the conventional and the unusual. Limitations of time required her to consider only two of the fundamental ideas which portrait photographers had appropriated from the rhetoric of portrait painting, i.e. idealisation of the sitter and limited, positive characterisation. She proceeded to demonstrate how these ideas informed photographic practice in relation to two aspects of the portrait, expression and pose. She argued that the convention of the formal, unsmiling expression was not due to technical considerations regarding length of exposure, or even poor dentistry, but emerged as a result of the need to idealise the sitter and project a positive image of the individual to their contemporaries. She identified evidence of sexual stereotyping in both expression and pose, and concluded by inviting the audience to apply this approach in the analysis of two phtographs. Vandana spoke about a three-year project entitled Crossing Continents: Connecting Communities which sought to reinterpret the Society’s historical collections in partnership with community partners. The presentation revealed why the Society chose to deliver work using this model of co-curation and the impact this interaction had on the exhibitions and education resources that were delivered as part of the project. The project addressed four geographical areas: Afghanistan, China, East Africa and Punjab and the presentation focussed on a selection of 19th and 20th century portraits from each strand; she provided summary of the responses, illustrated how interpretation differed between the strands and how these were incorporated into the outputs. The group portraits from the Afghanistan from the1880s, in the first instance, served to reinforce modern day stereotypes but the community partners used them to convey the diversity within the country that resulted from Afghanistan’s presence on an ancient trade route – giving the portraits a chance to tell complex stories that are not immediately visible to viewers. The Chinese groups, that were predominantly female, investigated gender-based issues and the impact of migration using the photographs available. They did this in both the historical sense by addressing traditional values and in the contemporary context by examining their lives in Britain. The portraits for the East African strand helped to bring to life the story of the Bombay Africans; a group of East Africans that were enslaved in childhood, later freed and lived in India in orphanages and then as adults, returned to East Africa on expeditions with Victorian explorers such as Livingstone and Stanley. The younger groups that engaged with the portraits (and the stories of individual men) expressed a sense of awe which was transferred to the exhibition in the form of performance poetry shown on a loop on DVD. The final strand about the Punjab covered Anglo-Punjabi history. The portraits in the Society’s collection are of mainly military activity in this now divided region, falling in Pakistan and India, and the themes that emerged of migration and a sense of loss were central to the exhibition. The portraits triggered reminiscences of a time, place and regional identity lost, but they also started conversation about contemporary identity and the impact of the British interaction from the 1840 onwards on this. This presentation looked at the National Media Museum’s new learning resources, produced for the photography sector at higher education level. The presentation focussed on the Museum’s forthcoming web resource on early photographic portraiture and also offered an overview of the full range of resources currently in production. In 2008/9 the National Media Museum decided to develop its offer to the higher education photography sector. Recognising that it needed to understand the requirements of the sector more clearly, the Museum began a consultation exercise to enable requests and comments to be mapped against available and potential resources. Almost 800 photography lecturers were contacted, each of whom were sent a questionnaire, a brochure including some key images from the Collection, and a covering letter. The questionnaire focussed on two main areas – web resources and live programmes. Overall, the results showed that web resources were preferred by the sector although there was also significant interest in live programmes, particularly in staff talks and tours, and especially in the archive. There was also considerable interest in opportunities to view Collection material first hand, and for visits by Museum staff to college venues. The highest percentage of respondents reported that they were very interested in lectures, photographic timelines, audio recordings of interviews with significant photographers and low resolution photographic images for reference use, on-line. In response, the Museum decided to produce a selection of genre-based web resources linked to photographic holdings and temporary exhibitions. It was decided however that the first resource would adopt a generalised approach and accordingly, work began on 40 Photographs, a history of photography in forty photographs, which featured iconic images from the Museum’s collection. Work is due to begin on further resources in late 2010. The first of these will feature landscape photography, with documentary and portraiture resources to follow in 2011. A preliminary selection for the portraiture resource has already been made, which features a large amount of nineteenth century material drawn from the Museum’s holdings, and the Royal Photographic Society collection in particular. The resources will be organised chronologically, and like 40 Photographs, will include some biographical information about each photographer as well as some analytical information about each image. It is intended that the resources will also cover some of the main theoretical concepts which surround photography. It is hoped that the resources will act as ‘off the shelf’ lectures for delivery to first year students of photography where desired, as well as resources for students undertaking personal research at any level. 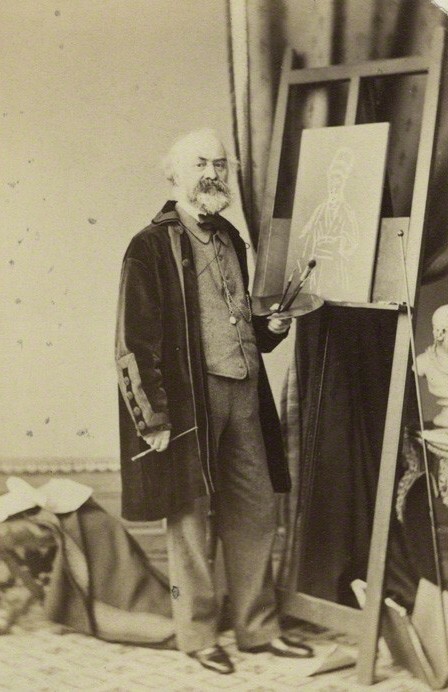 The portraiture resource will include nineteenth century material by WHF Talbot, Hill and Adamson, Charles Rickerby, Roger Fenton, Dr Hugh Diamond, Julia Margaret Cameron, Lady Clementina Hawarden, Felice Beato, Lewis Carroll, John Thomson, Frederick Holland Day and Peter Henry Emerson, amongst others. It will also include twentieth century and contemporary material. It is likely to be available as an on-line resource in late2011. Man & Cameraman is a project to catalogue, digitise and conserve the photographic collections of GB Shaw in a collaboration between LSE and the National Trust. The core funding being supplied by LSE with funds for conservation being supplied by the National Trust. Project Archivist Karyn Stuckey (LSE) is undertaking the cataloguing and digitisation of the photographic collection of George Bernard Shaw. Karyn outlined what the collection contained and how she was approaching the archival process. As archival software is primarily designed for written rather than visual collections she has devised a template for capturing visual information, this ensures that she meets archival standards (which require certain fields of information to be completed e.g. date, description) as well as photographic researchers expectations by adding fields for example, identifying the photographic process used to create the photograph. Issues with cataloguing photographs were discussed, in particular Karyn feels integrity to the original photograph is crucial and so is not cleaning the images during the digitisation process: ensuring online users will see an image as close to the original as possible. Inscriptions are being transcribed as some contain a lot of information and after being re-housed into conservation grade materials researchers will not be able to see the backs, Karyn has employed a simple system to alert researchers to the presence of inscriptions: an asterisk on the backing paper of the photograph. This is one way in which the needs to conserve the materials and yet inform researchers is being met. Karyn discussed the process involved in creating digital versions of the images (see flowchart, pdf download in new window) and the issues surrounding LSE creating a digital archive which also needs maintenance. Lastly Shaw’s negatives were discussed. These are being catalogued post-scanning as they can be better viewed that way. Scanning is occurring outside of LSE as specialist equipment is required. This outsourcing means that proper guidelines for creating files and post-processing as well as handling and numbering are essential so the collection appears as one. Photographic Conservator Anita Bools (National Trust) described the condition of the collection when it arrived at LSE and the requirements needed to house and store photographic objects. Anita has been responsible for overseeing the re-housing of the collection into archival quality packaging, which is crucial to the collection’s long-term survival and allows better access to researchers. Volunteers from Camberwell College of Art conservations courses and the National Trust ICON intern (Saya Miles) have been repacking the negatives is preparation for scanning, volunteers are given hands on conservation training by Saya and on numbering by Karyn. A system was devised for repacking and storing the negatives as these are complex objects (see diagram, pdf download in new window). Previously volunteers were also used to repack the photographs but now LSE staff have been trained to do this. Also contained in the collection are Shaw’s original albums which required specialist conservation and were sent to trained conservators to mend the binding, for example. By carrying out the three main elements of the project in collaboration Karyn and Anita are able to draw on their own skills and develop their knowledge in each others fields and thereby fostering a greater understanding of the collection and its needs.